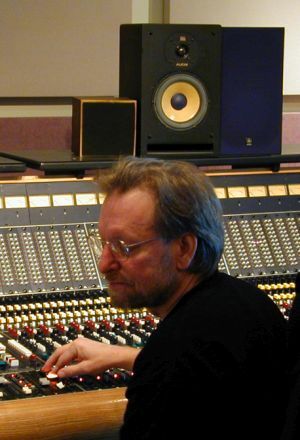 Producer and session player Billy Oskay was born and raised in Kingston, NY, where at age seven he first picked up the violin. Beginning in 1970 he studied under Eugen Prokop at the International Academy of Music located in Palma de Mallorca, Spain, and a year later earned his master’s degree in music from Indiana’s Ball State University. In the years following, Oskay headed the music department at Oregon’s Mt. Angel College before joining the swing combo Everything’s Jake; during the late 1980s, he also teamed with Irish guitarist Michael O’Domhnaill to form the Celtic-influenced Nightnoise, issuing a series of LPs on the Windham Hill label beginning with 1988’s At the End of the Evening. In addition to a steady touring schedule, Oskay emerged as a prolific session musician, appearing on countless projects headlined by John Doan, Dan Crary and others; at his Oskay Recording studio in Portland, OR but now he’s moved up to his Big Red Studio on 26 acres outside of Portland. Billy plays violin, fiddle, viola and keys. He has 3 RIAA Gold Records and two “Indie” awards. He’s noted for being a guy who likes laughter in the studio and we’re happy to have his own laugh among ours at this year’s Moisture Fest.